I, Effing Feline, scorn the fickle ways of humankind. Ed Hoornaert, aka Mr Valentine, has put Future Love on hold until summer. We cats don’t do things like that. If we plan to nap, we nap. If we plan to eat, we eat. None of this simian shilly-shallying. But it turns out Mr V’s finally gotten a release date for Escapee. It would’ve interfered with releasing Future Love next month, so this will be its last snippet for a while. Humans are capricious, incomprehensible creatures, know what I mean? Here an incomprehensible human thinks about the church where he met Laila at the Last Supper picnic. I believe in God, not religion. The church people treated me so nicely, though, that I pretended to myself that I believed. Or do I now disbelieve because I’m afraid I’ll go to Hell? They won’t let me in church anymore. I let Them down, They said when I revisited the church lawn, now withered and brown. They acted like I couldn’t hear. Having a Voice in the congregation had brought prestige and credibility to the fledgling Church of Nanotechnology. When I lost my Voice, I let Them down. And beyond that dead winter grass, Mount Baker lay hidden behind endless grey storm clouds. Effing Feline again. For those who care, here’s a picture of Mt. Baker, the “arrow pointing the way to heaven,” floating above the horizon. Though why you’d care, I don’t know. There’s no mice in all that snow. So why bother? Make sure you read the snippets by other great weekend writing warriors and Sunday Snippets folks. Lots of questiones raised in this week’s piece. Not the least of which is: who are ‘They’? Congrats on securing a release date, Mr V.
Plenty of mystery in this snippet. And beautiful Mt. Baker- I’d like to know what it’s significance is in this. When I was young and living in Vancouver I loved the relatively rare days when Mt. Baker was clearly visible. It seemed a mountain of mystery… and as such, it found a place in this tale. There is something very ethereal and mysterious about the Cascade volcanoes. I loved living in Portland with so many of them in sight! Well, you raised some intriguing questions I’d like to know more about, but I understand the tug-of-war between competing projects, even if effing doesn’t. Congrats on the release date! Leave it to a writer to empathize with another writer. Thanks, Cara. Thanks for the curiosity, Jessica! A good laugh on Sunday morning never hurt anyone and you gave me that gift. So thanks, big guy. Nifty goings on here. ‘Big guy’? Clearly you’ve never seen my wedding pictures in which I, at 6’2″, look small compared to my uncles and cousins. When I was young I wanted to be at least as tall as my dad, who was a basketball center. Or did you mean ‘around the waist’? Church people can be so fickle. And, Effing, I think you’re wrong about the mice. They’re hibernating under all that snow. Hibernating, or freezing to death? I’d not be certain about the lack of mice in the snow, either. When we lived in the north one of our dogs was fond of “mouse-sicles” in the winter. But then he taught the cat that mice were more than just playthings. Effing is an Arizona cat. He was easy to convince that nothing could live in snow. Another wonderful excerpt from the *seemingly* fickle human 🙂 Intriguing questions are raised and we with inquiring minds want to know more! You make me feel like the National Enquirer! Which isn’t necessarily bad; their writing earns more money than mine does. Oh, it’s a great place to visit for skiing. I’m not so sure how the tourist trade for mousing is, though. Congratulations on the release date, always good to have the deadlines established! Enjoyed the snippet, so many deliberately intriguing questions raised…can’t wait for more. It’s good to know the exact date. Now I can plan around it. A strange entity, forbidden from an unlikely church! Just your ordinary, everyday situation, eh? Great snippet. Congrats on release date. If you’d like to appear on my blog – I’d love to have you. Leave a comment on mine. Great excerpt. I want to know why the grass turned brown. Effing, I bet there’s snow birds on the mountain. Nah. The snowbirds are all down here in Arizona! Now I wonder how one loses one’s Voice, and what a Voice does/is… Lots of intriguing questions here! I’m glad you feel that way, Caitlin. Worrisome. The church sounds like a cult. Congrats on the release! Thanks for the congratulations, Dani. Glad to see you got in early this week! A very intriguing snippet this week. 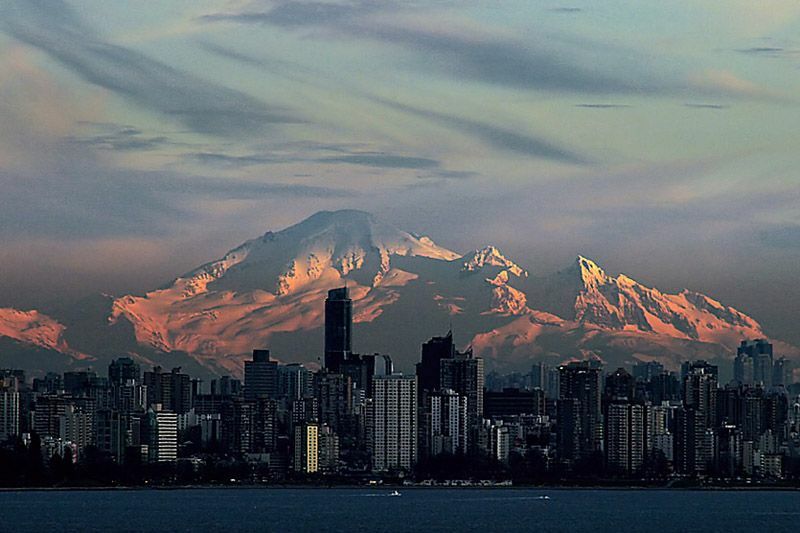 Lots of unanswered questions, and what is the significance of Mt Baker? Good luck with the book launch. I originally threw in Mt Baker only because I found it mysterious back when I live in the Pacific Northwest. From there, its significance kept growing. They? Them? Who goes there? What’s up this church’s sleeve? Interesting! The Church of Nanotechnology? 🙂 Nice! “Life would be simpler?! ?” Hah! Do you have any idea how many times a day I’d be feeding him? Congrats on finding out your release date. That’s always exciting news. Indeed, the news is exciting. I was afraid the release date was going to slip. Like everyone else- who are they? They are who? What’s up? Obviously a great snippet if you have everyone intrigued. Either I have everyone intrigued…or confused. Lots of questions here, about who They are and what’s the importance of his Voice. I especially liked the opening sentence, about God vs religion. Great snippet! Obviously, the narrator isn’t a devout follower of the Church of Nanotechnology. I’ve got you either curious or confused. Congrats on the new release! I absolutely loved this snippet. Lots of questions that want me to keep reading, and writing that was beautifully structured. Can’t wait for more! Unfortunately for you, Effing is under orders to switch next week to snippets from the upcoming release. Sorry about that, Amy! Glad your release date is at hand (at least relatively).Best of luck! I still haven’t gotten over the Last Supper picnic! Hysterical! Sorry you’re going to move on to another book, although I suspect I’ll enjoy it just as much. Personally, I would eat no food served at a meal entitled the “Last Supper.” The name doesn’t inspire confidence in the cooking. Definitely an intriguing snippet, so many questions beg for answers. Very vivid descriptions. Effing Feline, please tell Mr. V KUDOS on getting a release date for Escapee. Thanks for the kind words, Chelle. Tons of questions from this! And I couldn’t agree more with the first line: I believe in God, not religion. Wonderful snippet! Hmm. You do realize, Joyce, that the narrator of this story is mad?